Bhubaneswar : Jindal Steel & Power Ltd, which has invested about Rs. 45000 Crore Rupees in Odisha has been conferred with Odisha Inc CSR Leadership Award for its outstanding work in implementing social development initiatives under the Corporate Social Responsibility programmes. 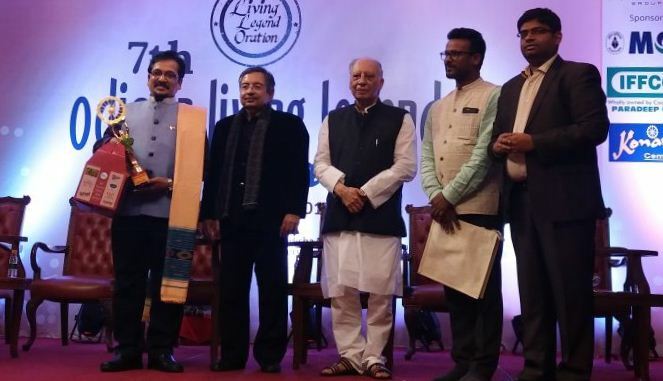 JSPL’s Executive Vice President & Group Head (CSR & Education) Mr. Prashant Kumar Hota received the award from renowned journalist Mr. Vinod Dua and prominent poet Mr. KN Daruwalla during Odisha Living Legend Award Ceremony organized by leading web news portal OrissaDiary.com on December 23, 2017 at Bhubaneswar.